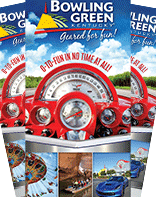 Kentucky Living Readers select Corvette as Kentucky’s Best Product BOWLING GREEN, Ky. – April 4, 2011 - Kentucky Living’s ‘Best in Kentucky’ results are in the magazine’s April issue, and the Bowling Green area shines with several top honors. The city was voted the Best Weekend Getaway in the annual readers’ poll while the Corvette was chosen as the Best Kentucky Product. The Capitol Arts Center tied for third place in the Local Performing Arts Site category, and Smiths Grove tied for third in Antiquing. Warren County Judge Executive Mike Buchanon and U.S. Senator Rand Paul tied for third place in the Civic Leader category. 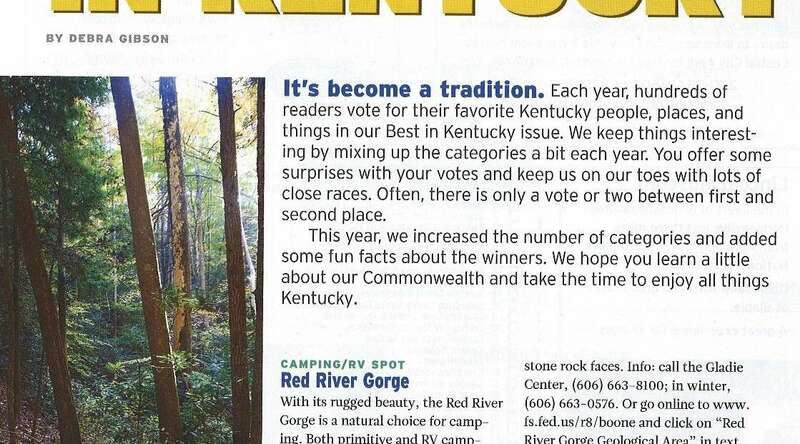 Mammoth Cave National Park also received recognition as the first place Vacation Getaway, second place Weekend Getaway, and third place Historical Landmark/ Museum. The Weekend Getaway portion of the article refers to Bowling Green as a “bustling town” offering “a multiple-choice experience for visitors.” It mentions Beech Bend Park and Splash Lagoon, GM Corvette Assembly Plant and National Corvette Museum, Lost River Cave and Valley, Kentucky Museum, Russell Sims Aquatic Center, Western Kentucky University, Historic Railpark and Train Museum, Fountain Square Park, and Aviation Heritage Park as top attractions.